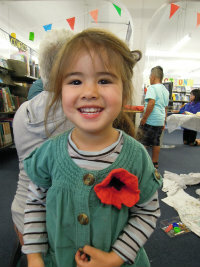 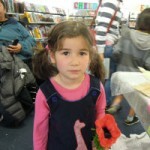 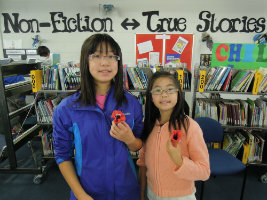 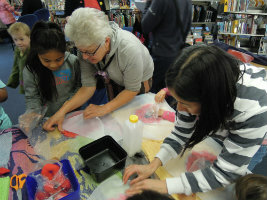 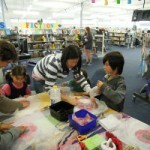 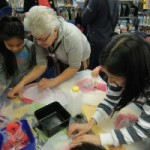 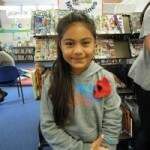 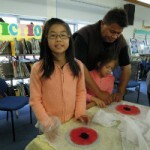 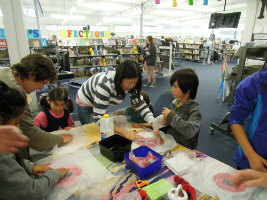 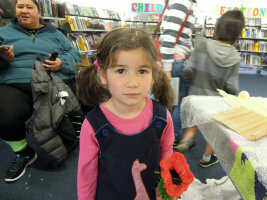 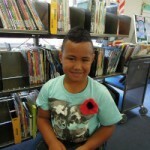 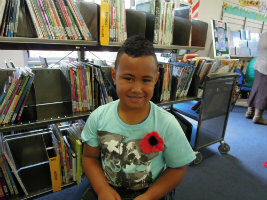 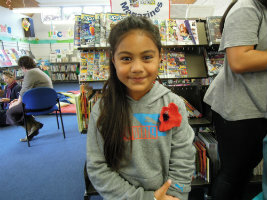 During the school holiday activities Johnsonville Library commemorated 100 years since the Gallipoli landings by listening to stories and music plus having the opportunity to make our own poppies. 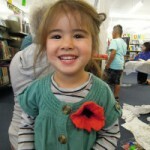 Both wool and felt poppies were created. 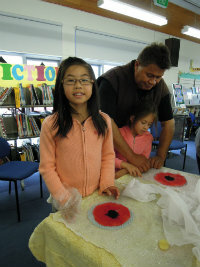 Children had fun learning the art of felt making using natural fibre and then making the poppies from it. 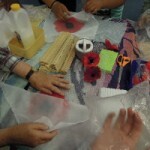 To make the wool poppies we used a little cardboard circular loom and wove the wool through to create our poppies. 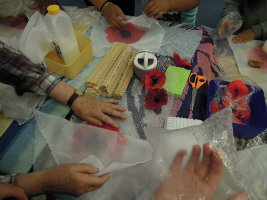 A big thank you to the ladies from the Onslow Fibrecraft Guild who helped us with our creations.